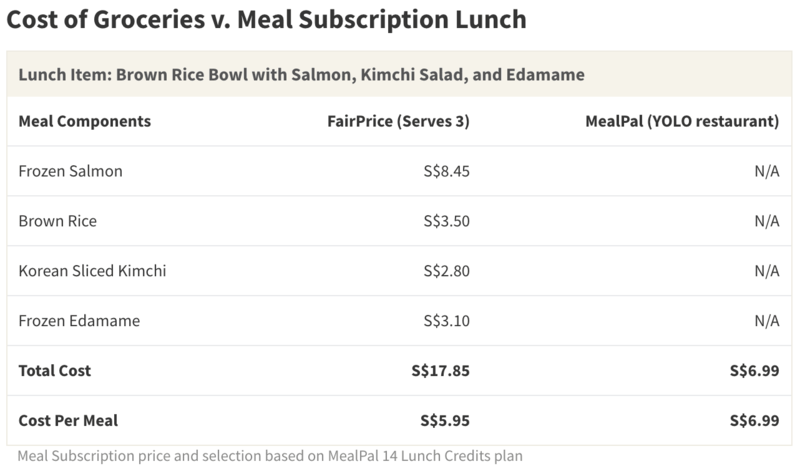 Meal subscription plans offer a simple way to enjoy restaurant meals on-the-go and at a fixed cost...but are they as cost-effective and convenient as they seem? To further explain, your choices are immediately limited. MealPal and Nomnomby work with a network of partnering restaurants to decide which dishes to offer each day. This means you won’t get to just choose your favorite restaurant, or even pick from a restaurant’s menu. Restaurants have the ability to ‘push’ items that are less popular (or that they need to get rid of) and can limit selection to cheap-to-make dishes. This also applies to cuisine and dish selection. More complex options tend to be more expensive on both levels, and choosing complex meals can more than double your value. On the other hand, if you’re a simple eater or a vegetarian, you may actually end up losing value (though in this case, meal values may be bumped up with a drink or extra side). 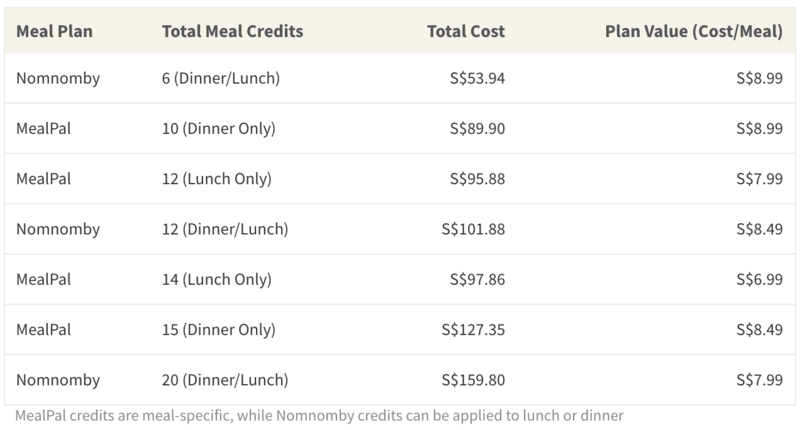 Less-picky eaters in congested areas, however, can save money by eating at food courts or hawker centres, where meals often only cost S$2–S$5.